Now you too can smell like one of the most fiendish ambassador's of the Empire. 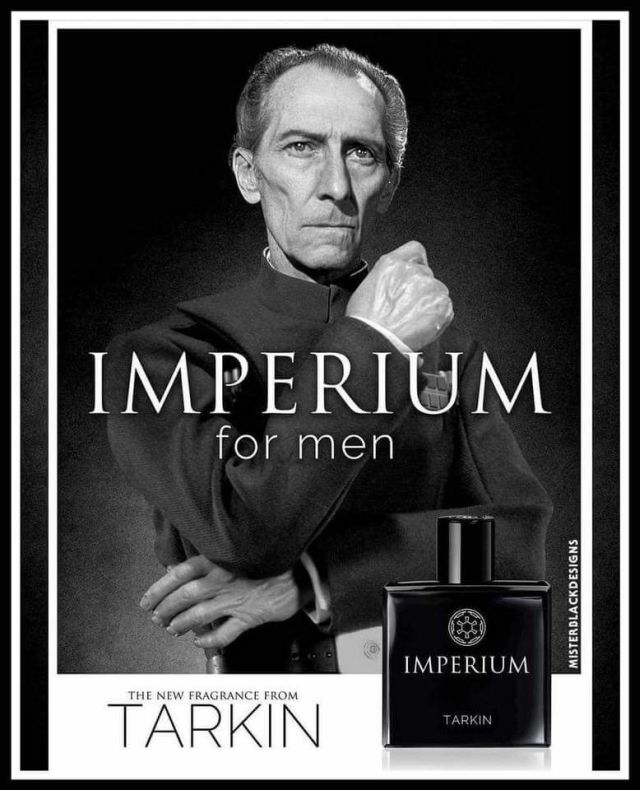 Imperium for men is the new fragrance from Grand Moff Tarkin. I can only imagine it would smell of linen and lavender, much the same way actor Peter Cushing did. Carrie Fisher said it was very difficult to deliver her line "I recognize your foul stench" because he didn't stink. Thanks to Peter Cushing Appreciation Appreciation Society Facebook page. top colognes for men are created in antediluvian time that in 1700 century. Then it absolutely was employed by churches subsequently French creation aftershave for common use. now couturier is creating colognes at many variety names. it is utilized by men as prime perfumes for men. Considering that, "a fragrance can bring your personality", i personally like the mild perfumes and long lasting perfumes as well. Never used Imperium for men. Can you please tell me about the smell of this perfume? Your article has provoked a ton of positive intrigue. I can perceive any reason why since you have made such a decent showing with regards to of making it intriguing.